The Event Agency Forum is a highly focused event that brings the events industry together for one-to-one business meetings and valuable networking opportunities. 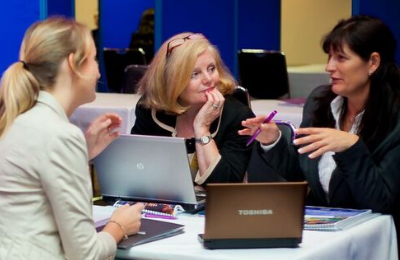 You will meet with Senior Agency professionals who are actively sourcing new suppliers. Your time is precious, valuable and limited. At the Forum, we will deliver a first-rate return on investment, and put you in touch with meeting and events professionals who have specifically asked to meet you, would like to discuss your products and services, and are pro-actively looking for solutions for their organisation. We organise personalised appointments for event professionals and suppliers to meet in their own dedicated meeting booth. Each supplier will have a series of 20 minute meetings with key decision makers throughout the day, over lunch and during networking breaks. Your package will include your appointment schedule, meals and refreshments, WiFi and detailed information on attending delegates. Your company logo and information will also be included on email, website and social media marketing for the event.